This controls whether protocol bytes are included in transfer speeds in the main Transfers View columns. This controls whether protocol bytes are included in peer speeds in the peers tab of a transfer's properties. 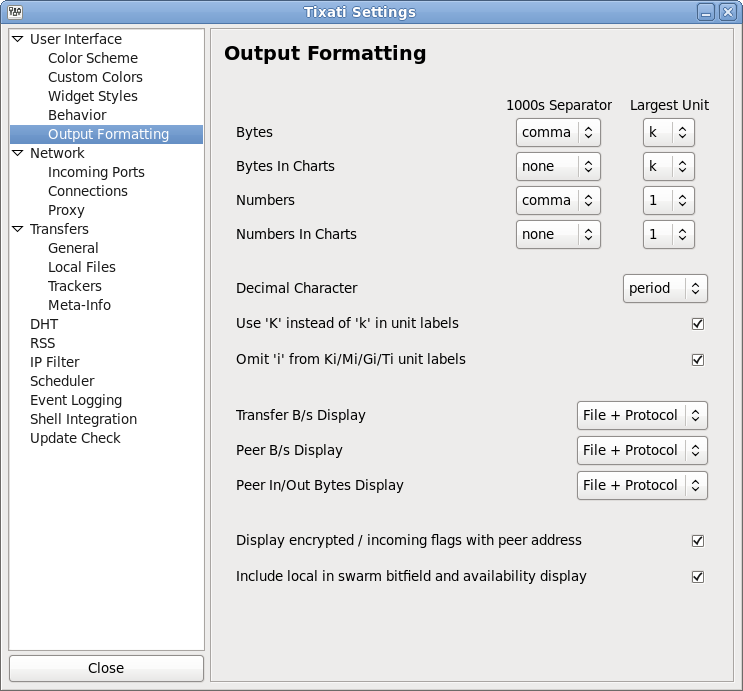 The controls whether protocol bytes are included in the peer cumulative bytes column in the peers tab of a transfer's properties. If this option is active, peer addresses in the peers tab of a transfer's properties will have "i" if the connection is incoming, "e" if the connection is encrypted, or "ie" for both. In the details tab of a transfer's properties, this will control whether the local bitfield is included in the overall swarm availability.